Cancer Mission 2020 is a grass-roots initiative that depends on the support of your community and everyone in it, starting with you. Here you will find everything you need to support Cancer Mission 2020 and be a part of our team in an effort to end cancer by the end of the decade. Cancer doesn't have to be a death sentence. 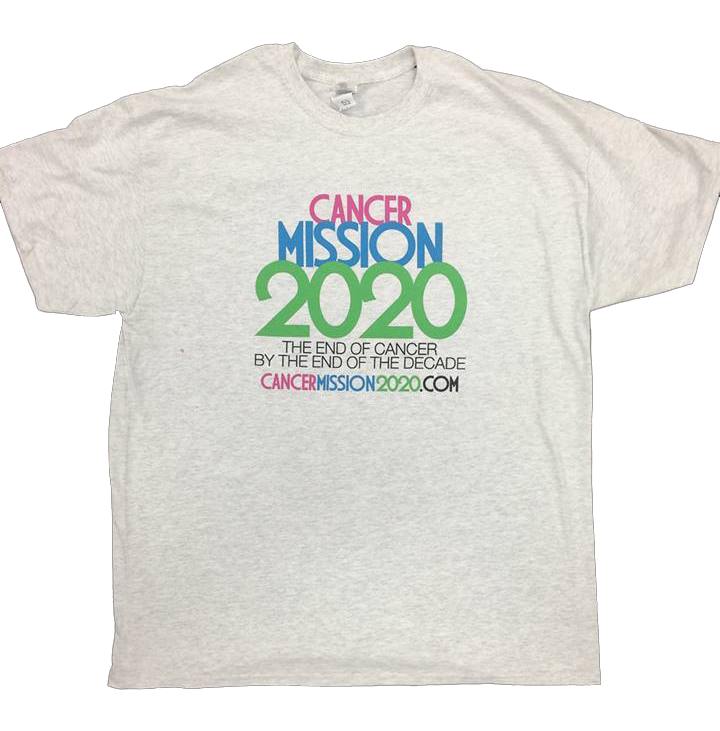 Print and fill out 5 petition sheets and mail them back to us for a FREE Cancer Mission 2020 t-shirt!